Many people wonder about answers to some of life’s most basic questions, such as “Why the sky is blue?”, which can be answered from textbooks and in science classrooms and seem geared to younger, middle grade readers. Yet there are many more basic yet complicated questions like, “Why does time only move forward?”, which need more of an in-depth explanation for understanding. Why? 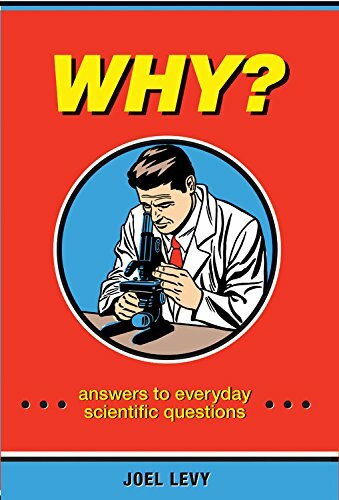 Answers to Everyday Scientific Questions is an interesting book. It covers a range of topics from geology and psychology, to cosmology and chemistry from the mundane to the esoteric. Readers will find just as interesting as the questions how the author has decided to answer them—by using several layers of explanation to build comprehension bit by bit. Each answer begins with a one-line explanation before giving more detail and, in some instances, challenging the basic premise of the question. Some answers also incorporate illuminating and fun trivia to help with understanding. There are also pictures and graphs where needed. This 192-page book is for young adults. Readers who are curious and openminded will enjoy reading, learning, and sharing the answers to many of these questions. Though the book certainly doesn’t cover every possible question and though some explanations are proximate, it does incorporate a variety of captivating information. If this book does nothing else it will encourage readers to ask the question “Why?” more often. Renee Hand is the author of award-winning novels for children and adults.